What is the cheapest way to get from Cork to An Muileann gCearr? The cheapest way to get from Cork to An Muileann gCearr is to drive which costs 28€ - 45€ and takes 2h 31m. What is the fastest way to get from Cork to An Muileann gCearr? The quickest way to get from Cork to An Muileann gCearr is to drive which costs 28€ - 45€ and takes 2h 31m. Is there a direct bus between Cork and An Muileann gCearr? No, there is no direct bus from Cork to An Muileann gCearr station. 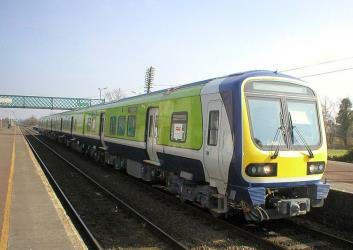 However, there are services departing from St. Patricks Quay and arriving at Mullingar, Outside Train Station via Dublin, Halfpenny Bridge. 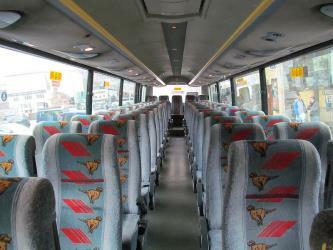 The journey, including transfers, takes approximately 5h 16m. How far is it from Cork to An Muileann gCearr? The distance between Cork and An Muileann gCearr is 197 km. The road distance is 240.9 km. 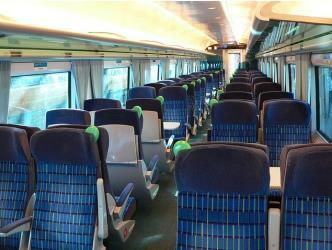 How do I travel from Cork to An Muileann gCearr without a car? The best way to get from Cork to An Muileann gCearr without a car is to train and bus which takes 4h 46m and costs 50€ - 75€. How long does it take to get from Cork to An Muileann gCearr? 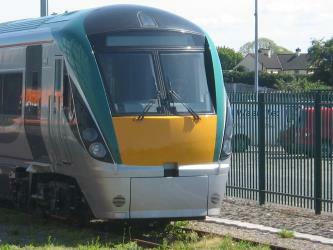 It takes approximately 4h 46m to get from Cork to An Muileann gCearr, including transfers. 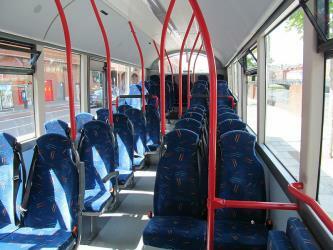 Where do I catch the Cork to An Muileann gCearr bus from? 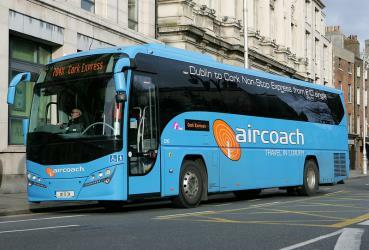 Cork to An Muileann gCearr bus services, operated by Aircoach, depart from St. Patricks Quay station. 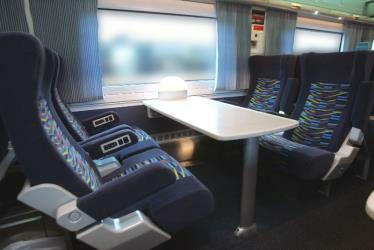 Train or bus from Cork to An Muileann gCearr? The best way to get from Cork to An Muileann gCearr is to train which takes 5h 18m and costs 60€ - 90€. 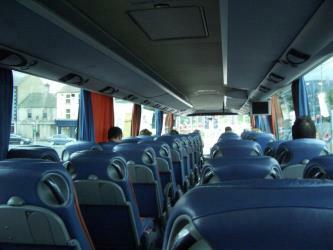 Alternatively, you can bus, which costs 30€ - 40€ and takes 5h 16m. How long is the flight from Cork to An Muileann gCearr? Where does the Cork to An Muileann gCearr bus arrive? 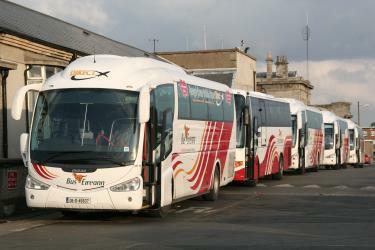 Cork to An Muileann gCearr bus services, operated by Bus Eireann, arrive at Mullingar, Outside Train Station. 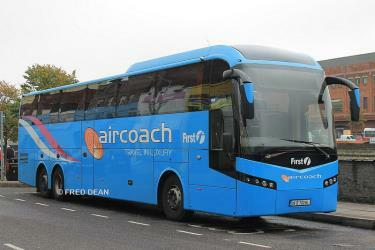 What companies run services between Cork, Ireland and An Muileann gCearr, Leinster, Ireland? 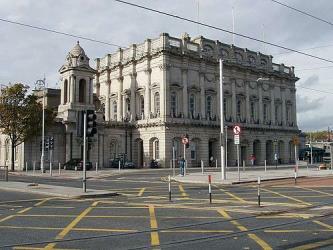 You can take a train from Cork to An Muileann gCearr via Heuston, Heuston, Busáras, and Connolly in around 5h 18m. Alternatively, you can take a bus from Cork to An Muileann gCearr via Bachelor's Walk and Dublin, Halfpenny Bridge in around 5h 16m. Rome2rio's Travel Guide series provide vital information for the global traveller. Read our range of informative guides on popular transport routes and companies - including How to get from Southend Airport into central London, French strikes 2018: What are my alternative transport options? 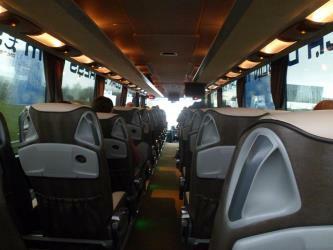 and Want to know more about Flixbus? 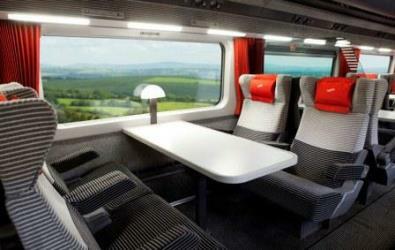 - to help you get the most out of your next trip. Can I drive from Cork to An Muileann gCearr? Yes, the driving distance between Cork to An Muileann gCearr is 241 km. It takes approximately 2h 31m to drive from Cork to An Muileann gCearr. Where can I stay near An Muileann gCearr? There are 38+ hotels available in An Muileann gCearr. Prices start at 55€ per night. Mullingar Town Park (Irish: Páirc Bhaile an Mhuilinn Chearr) is a public park located in Mullingar, Co. Westmeath, Ireland. The park includes a wide variety of playgrounds, a swimming pool and a large pond near the centre. On July 22, 2016, the park became one of 22 public spaces in Ireland to be awarded a Green Flag. Belvedere House and Gardens (Irish: Teach Belvedere agus Gairdiní) is a country house located approximately 8 km from Mullingar, County Westmeath in Ireland on the north-east shore of Lough Ennell. It was built in 1740 as a hunting lodge for Robert Rochfort, 1st Earl of Belvedere by architect Richard Cassels, one of Ireland's foremost Palladian architects. Belvedere House, although not very large, is architecturally significant because of its Diocletian windows and dramatic nineteenth-century terracing. When Robert Rochfort decided to use Belvedere as his principal residence, he employed Barthelemij Cramillion who was a French Stuccadore, to execute the Rococo plasterwork ceilings which are among the most exquisite in the country. The landscaped demesne boasts the largest and most spectacular folly in the country, The Jealous Wall, built to block off the view of his estranged brother's house nearby. There is also Victorian walled garden and many hectares of forest. The house has been fully restored and the grounds are well maintained, attracting some 160,000 visitors annually. Tullynally Castle is a country house (also known as Pakenham Hall Castle) situated some 2 km from Castlepollard on the Coole village road in County Westmeath, Ireland. The gothic style building has over 120 rooms and has been home to the Pakenham family (now the Earls of Longford) for over 350 years, except for 32 years in the early 19th century when it belonged to the Ryder family. Rome2rio makes travelling from Cork to An Muileann gCearr easy. Rome2rio is a door-to-door travel information and booking engine, helping you get to and from any location in the world. 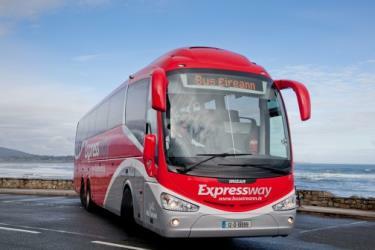 Find all the transport options for your trip from Cork to An Muileann gCearr right here. Rome2rio displays up to date schedules, route maps, journey times and estimated fares from relevant transport operators, ensuring you can make an informed decision about which option will suit you best. Rome2rio also offers online bookings for selected operators, making reservations easy and straightforward.